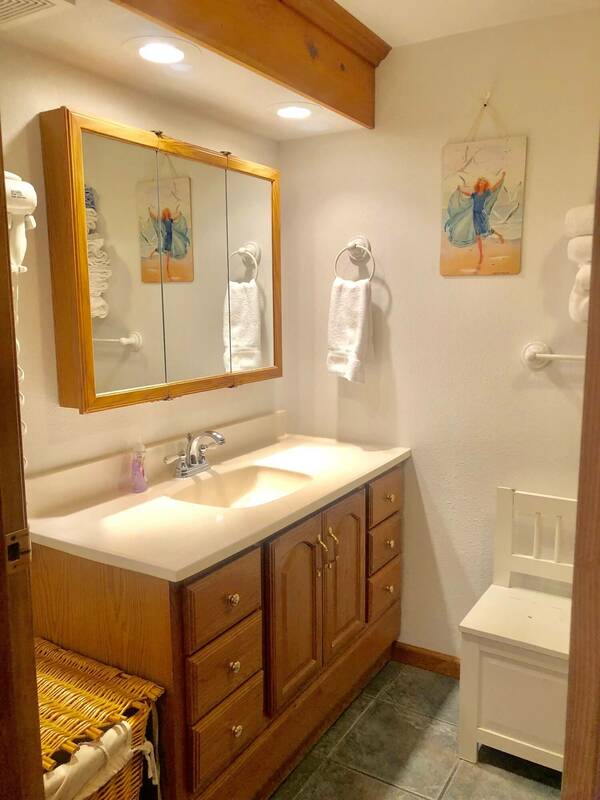 One of two suites at the Inn, Room 20 is a cozy suite including one private bedroom with a queen and twin bed along with a double futon in the small sitting room. 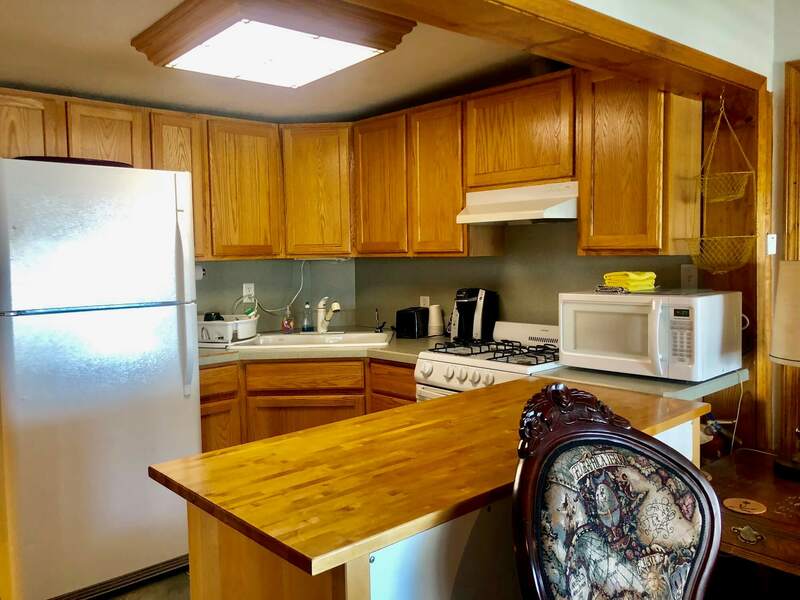 Includes a small kitchen, private bath with tub, cable TV, WiFi, microwave, Keurig coffee pot and a nice partial view from the picture window. There is a private outside entrance off the covered back deck.